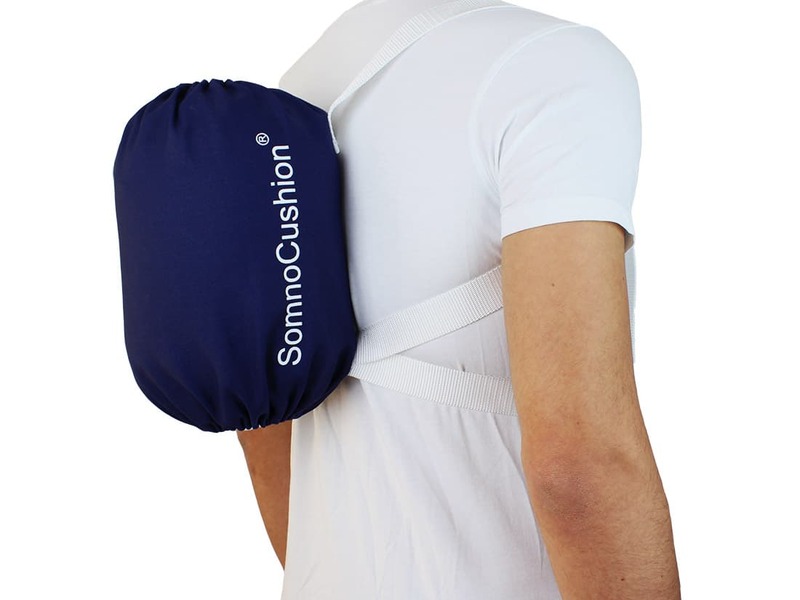 SomnoCushion® Standard anti snoring backpack is worn like a traditional backpack at night. The positioning aid safely prevents you from sleeping on your back. Studies show that snoring and obstructive sleep apnoea can be significantly reduced by avoiding supine position. Especially when sleeping on the back, the lower jaw and tongue can fall back so that the tongue and the soft tissue narrow the upper airways. We produce SomnoCushion® Standard in Germany. The backpack cover is made of sturdy cotton fabric (65% polyester, 35% cotton) and contains an air cushion that is inflatable by mouth. The three straps in the shoulder and abdomen area are kept in a discreet white and are equipped with sliding buckles. The air pressure and the strap tension in the abdomen and shoulder area can be regulated individually ensuring a high wearing comfort. Due to its light weight it is almost not noticeable at night. The anti snoring backpack is ideal for travel as it can be stored space savingly in the luggage. Who is SomnoCushion® Standard comfortable for? SomnoCushion® Standard is particularly suitable for normal weight or only slightly overweight. We recommend our SomnoCushion® ProSomnoCushion® Pro to those who are severely overweight as it is more resilient. In the case of obstructive sleep apnea, we recommend to discuss the treatment with positional therapy in advance with the treating physician. 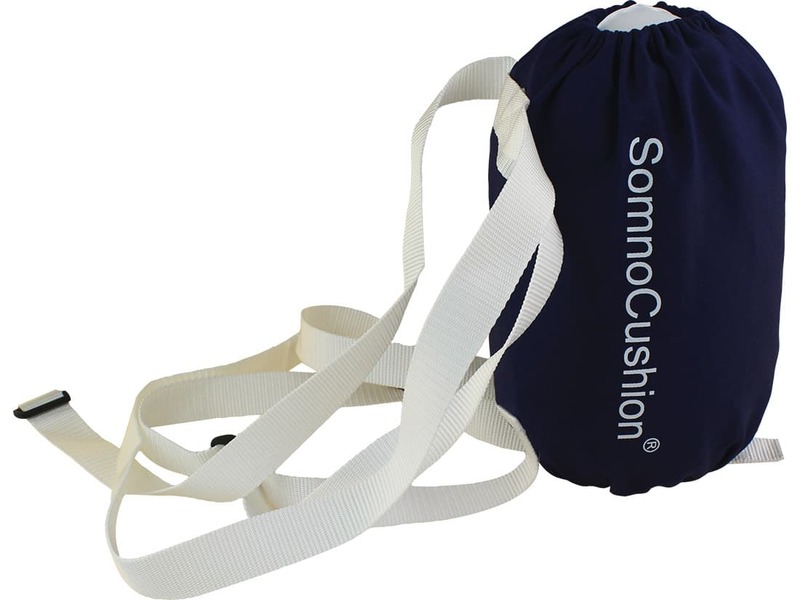 SomnoCushion® Standard is available in one size fits all and can be worn regardless of body height. Machine wash the fabric cover at 60°C in a gentle cycle, do not spin, just air dry. Positional therapy is accompanied by a training effect. That is why most users do not need to use the positioning aids constantly every night after a few weeks. Where can I buy SomnoCushion® Standard? 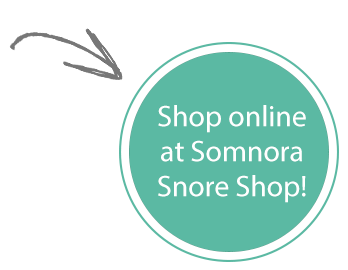 You can buy SomnoCushion® Standard anti snoring backpack in our online Somnora snore shop or directly from us by telephone, fax or e-mail (sales@tomed.com). The use of positioning aids is supportive and useful also in patients who use other anti snore devices, e.g. CPAP masks, oral appliances or a Airmax nasal dilator.